Johnnie Walker Double Black Label Whisky is a popular Whisky available from Amazon.co.uk in 70cl to buy online. Visit Amazon.co.uk for the best price for 70cl of Johnnie Walker Double Black Label Whisky or compare prices on our other Whisky products. Distilled, blended and bottled in Scotland. A bounteous, vivacious, smoky fused containing whisky matured in warm charred old oak casks . The flavour is full bodied and complex with the signature peat smoke shining brightly through rich raisins and sultanas. Apples, pears and orange zest bring freshness while creamy vanilla and spice bring a softness and sweetness to the tongue. The long warming finish combines spicy oak tannins and lingering smoke. Where to buy Johnnie Walker Double Black Label Whisky ? Johnnie Walker Double Black Label Whisky Supermarkets & Stockists. 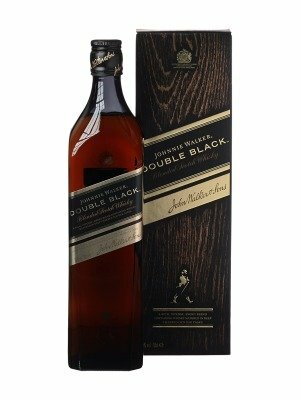 You can buy Johnnie Walker Double Black Label Whisky online in most retailers and find it in the Whisky aisle in supermarkets but we found the best deals online for Johnnie Walker Double Black Label Whisky in Amazon.co.uk, DrinkSupermarket.com, and others. Compare the current price of Johnnie Walker Double Black Label Whisky in 70cl size in the table of offers below. Simply click on the button to order Johnnie Walker Double Black Label Whisky online now.